With the many advantages wind energy projects can offer, it’s no surprise that so many different developers are choosing to pursue them for the first time. Wind energy is clean, sustainable, and free of any of the geopolitical complications that often accompany more traditional fuel sources. In spite of its many benefits, wind energy also has its fair share of challenges, with transmission being among the most difficult of these challenges to overcome. Wind energy is unique because it’s often necessary to place developments in rural areas in order to capture wind in useable amounts. The problem is that the areas most conducive to producing a lot of wind energy are often very far away from the places where that wind energy will actually be used, meaning major metropolitan areas. In order to cover the large distances between where wind is and where it needs to be, developers must create a transmission line, which could end up adding to the cost and complexity of wind energy projects. 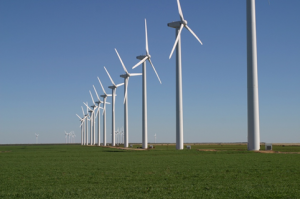 In this post, we’ll examine the issue of wind energy transmission and talk about how modern land surveying technology can be used to overcome it. While it’s true that very isolated areas often make very good locations for wind energy projects, one shouldn’t simply assume that one location is as good as any other. Wind farm developers must learn to take transmission costs into the equation and select sites that offer the best possible balance between the optimal location for actually producing wind energy and the location that’s as close as possible to where the energy will be used. Doing so can help cut down the distance of the transmission lines that the developer must build and hence help the developer avoid a lot of the challenges associated with building transmission lines. With land surveying technologies such as unmanned aerial vehicles (UAVs), developers are able to gather detailed information about large areas of land very quickly. As a result, finding the best site to maximize the energy potential of a wind farm becomes much easier than it would be using traditional surveying methods. The developer will also save time and money on their surveying work, which will help offset some of the time and money they will eventually need to dedicate to building the wind energy transmission lines. Below are a few examples. Picking the best site for wind energy projects can be a very helpful part of overcoming the transmission line challenge, but sooner or later, having to actually build the transmission line is unavoidable. Fortunately, land surveying technology can help with this as well, by helping a developer select the best possible route for the transmission line. In the many miles they cover, wind energy transmission lines may face a variety of problems, from difficult terrain, to privately owned property, to areas of environmental or historical significance. All these factors ensure that it’s basically impossible for a developer to build their transmission lines straight from Point A to Point B. At the same time, having to build over or around obstacles as they come up adds greater cost and complexity to the overall project. Land surveying technology can be used to balance these two priorities by identifying the straightest possible route that’s also free of impediments. As a result, developers will be able to build the transmission lines they need while also saving time and money. 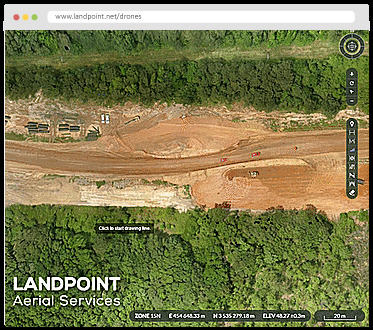 To learn more about how an experienced land surveyor can help take some of the difficulty out of building transmission lines for wind energy projects, contact Landpoint today. You can also review an example of our recent work on wind energy projects to get a better idea of what we’re capable of.